Seeing this pictures what is the first thing that comes to your mind? It wasn't even intentional nor planned in my cosplay budget for 2014 lol. And i can finally sing this verse.. This moment in Thailand was one of the best things i have seen for 2014, as the year soon drawing to an end feels like i've not pushed my limits to achieved my full potential. 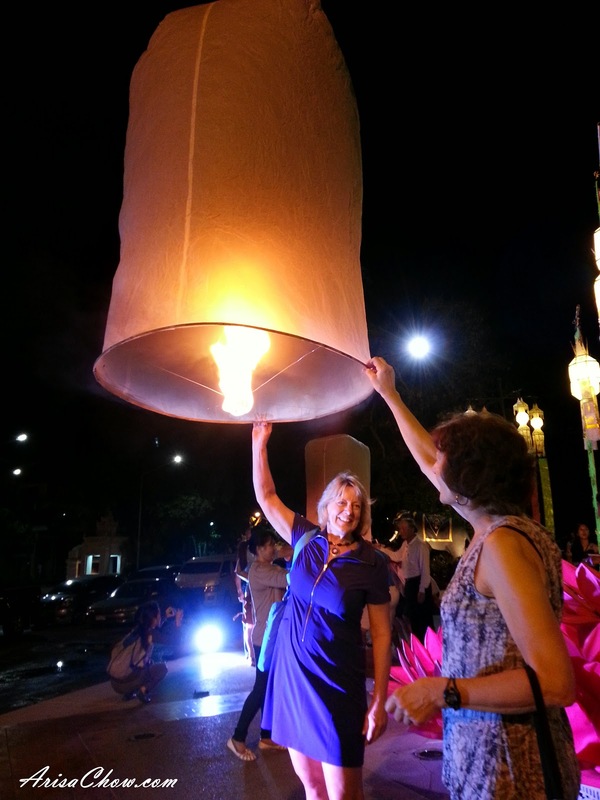 But getting to travel, meet new people, visit beautiful places and see amazing things all thanks to Thailand Tourism. 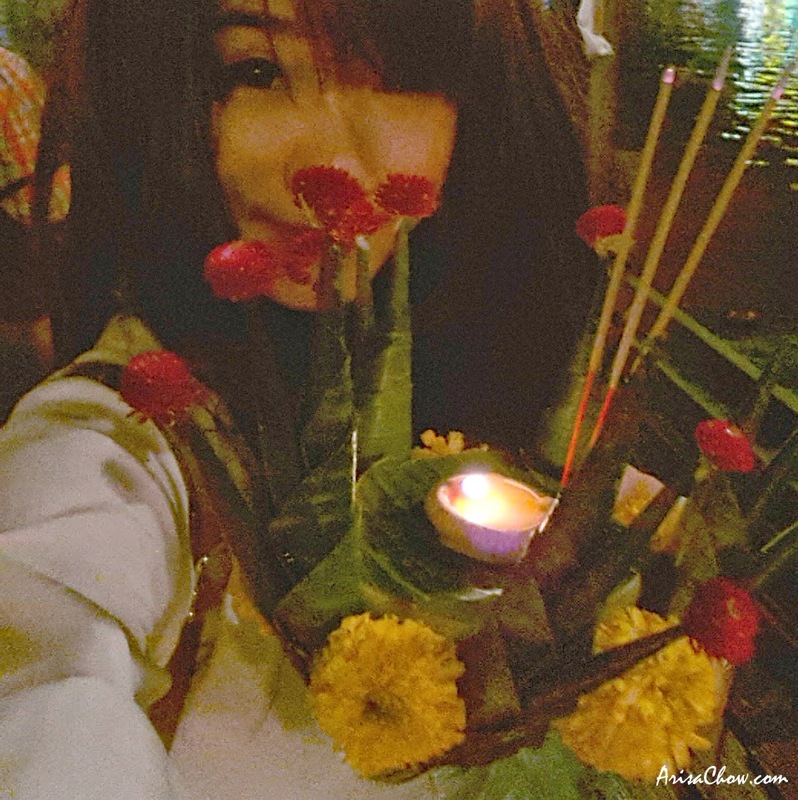 Hoping by letting afloat my Krathong by the river during the Loy Krathong Festival earlier last month (November) I've let the things that has been holding me back all this while like my anorexia, depression and other stuff be washed away as i welcome the turnover of a new leaf. I've seen many beautiful pictures of this festival which marks the full moon of the 12th month of the lunar calender but never did i dream to getting to see this or even let me very own krathong flaot down the river. Many tourist apparently come here specially to celebrate Loy Krathong, so do expect heavy human and vehicle traffic all over town if they are having a gathering or parade. If you want to see the huge parade floats best place to go would be Tha Phar Gate, it's a national monument where they will have tons of decorations to snap pictures with and activities like their beauty queen pageant, etc. The only regret i had was not walking out near towards the bridge with Dino, Baki kor & Becky after dinner if not could have gotten more beautiful close up shops of people releasing the lanterns into the air. Same goes to their Krathong which are traditional made using banana tree stump and leaves, decorated with intensive amount of details for those would usually cost more than 10 baht. 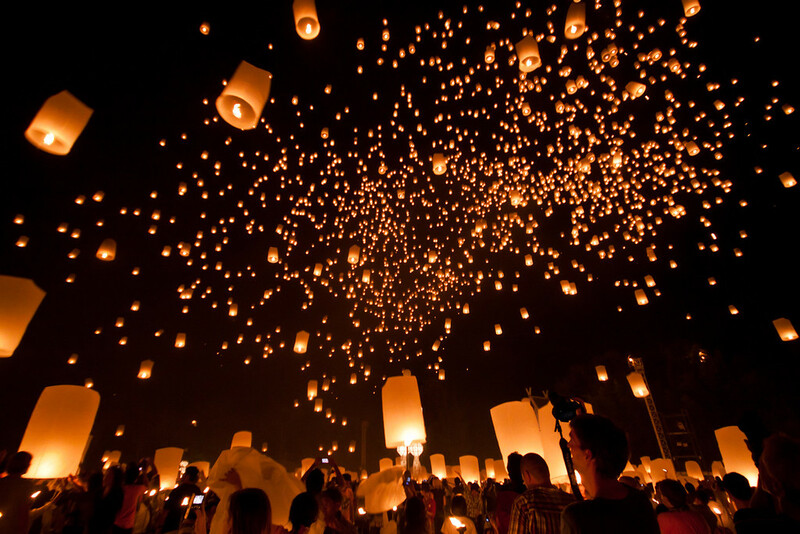 Here is a tourist tip if you wanna save from spending too much on your 'Krathong'. A basic design like mine should cost around 10-50 baht (RM1-5) if you purchase it near the riverbank area where people gather to let their krathongs float but if you purchase them in the city the cost would start from 100 baht and above (RM10^) for one. If you are planning to visit around like what i did before the festival, best to refrain from getting your krathongs early on the roadsides, stalls or vendors as you might end up paying a hefty sum for something small lol. Anyway if you do see a unique design, by all means go get'em as the cheaper ones are standardized designs. Thanks Tony (our awesome guide) for the useful tip! 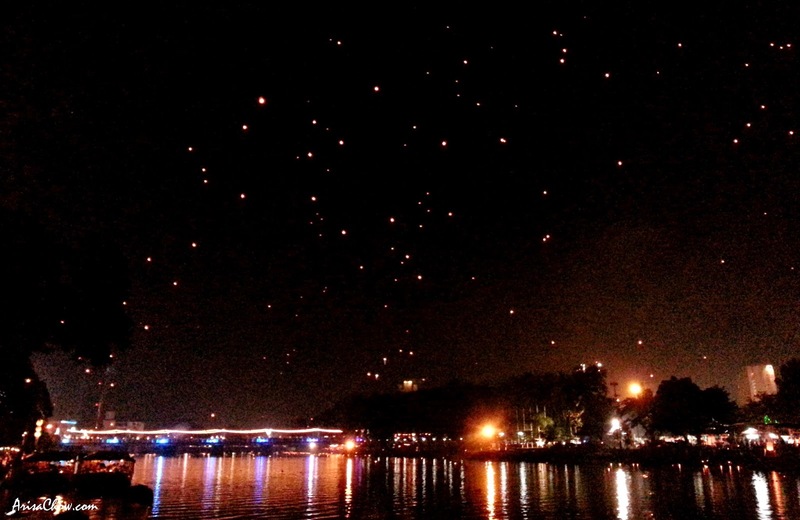 Really, i could sit by the riverbank for hours just watching the lanterns illuminate the skies of Thailand if the grass wasn't soaked from the rain earlier that evening lol. Don't you agree that this one of those amazing cultures that you can only specifically experience it from it's place of origin and no matter where you go to celebrate this, you can never get this same feeling and festivity like Thailand. making merit will give us happiness"